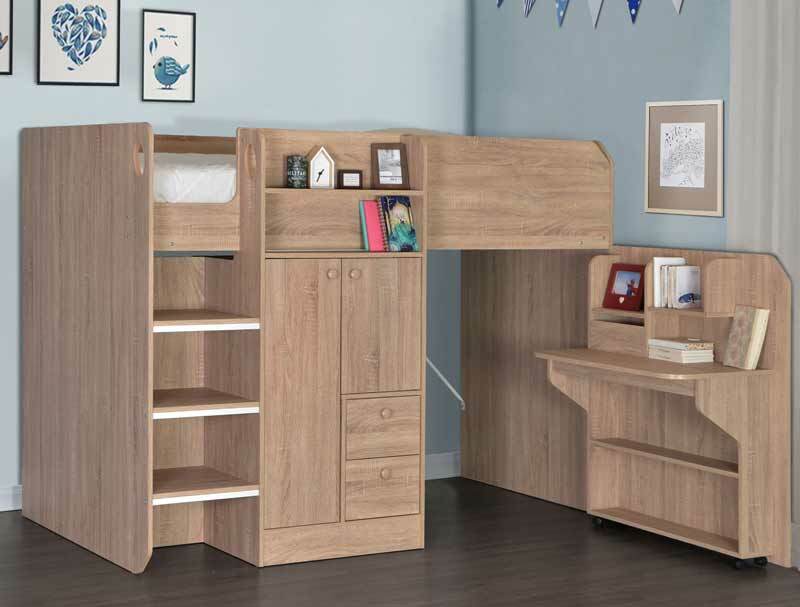 Flintshire are proud to offer you their new Hi Sleeper Work Bunk called Taylor , it is made from Mdf and is finished in an oak look or as a painted white and offers a high sleeping bed frame which takes a standard size uk single mattress 90 x 190cm not included .We would recommend the Relaxsan Moon mattress at 15cm deep or Sleepshaper Memory pocket 1000 Mattress at 20cm deep, but nothing deeper than 20cm. 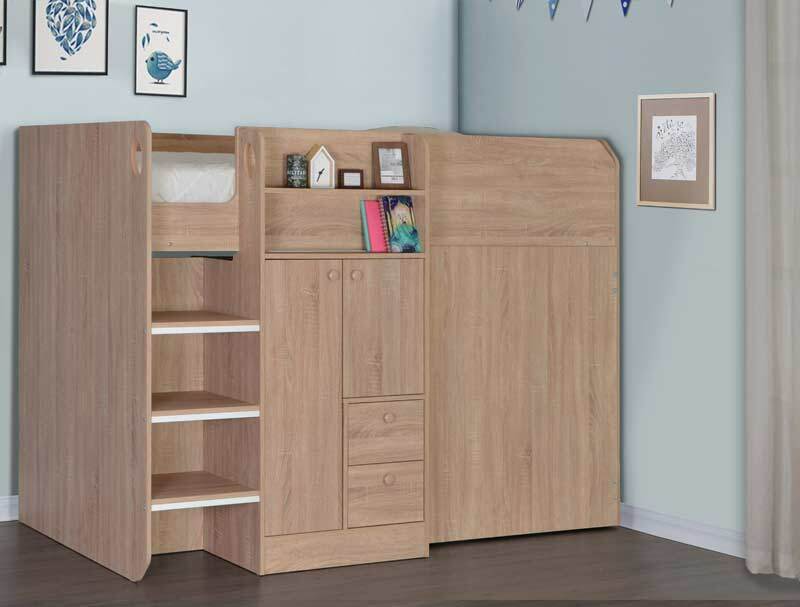 The Taylor offers ample storage space with a small wardrobe that has one door and a cupboard as well as 2 storage drawers. 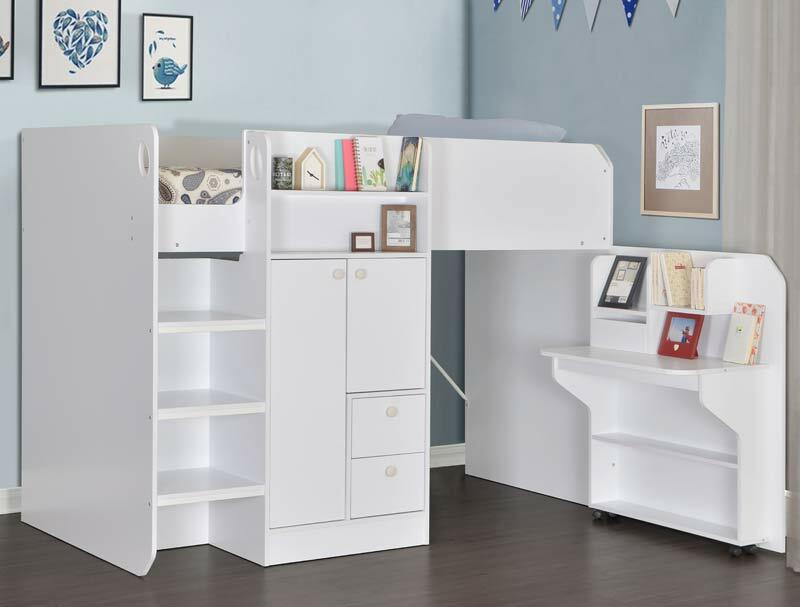 It also has a pull out desk that swivels out to offer access for the storage of other toys and boxes. 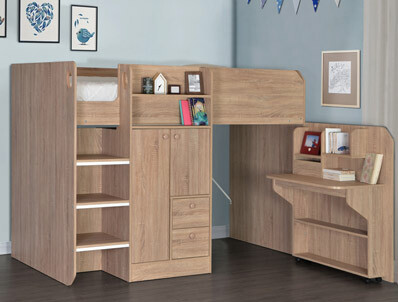 The Bed is supplied flat packed like all bed frames for home delivery to your front door in 5- 7 working days to all England & Wales mainland postcodes. Delivery to Scotland, Angelssey is available but does incur a cost of £40 in line with our Delivery information page.